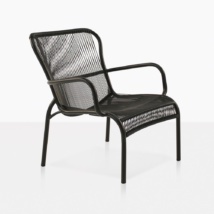 Make a stylish statement to your outdoor space with our Abbey relaxing chairs. They are delightfully modern with a cool retro vibe. Not only is it a fantastic looking chair, you won’t believe how comfortable they are once you sit in them, you simply don’t want to get up. The curve of the frame is open and airy while the round Sunbrella® seat cushion adds the perfect amount of comfort. 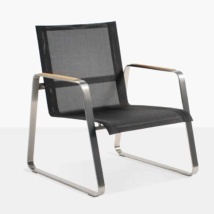 The Abbey relaxing chair appears light and airy, yet they are incredibly strong and durable. 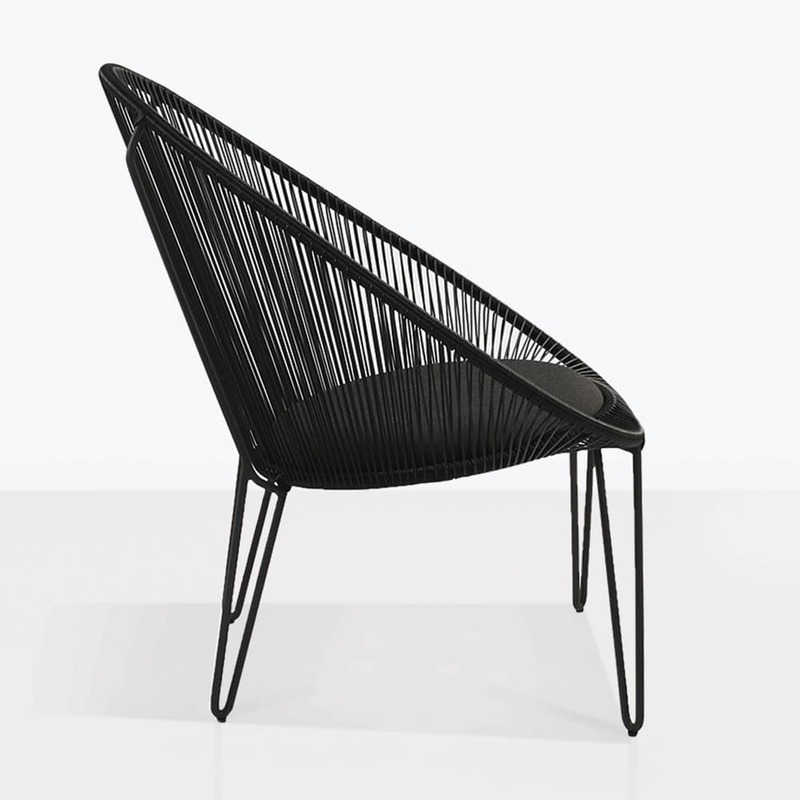 The frame is made out of powder coated steel and wrapped with synthetic outdoor wicker, which is smooth and silky to the touch. 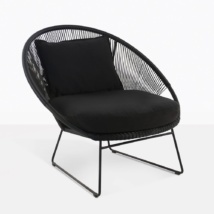 Call us today to order your Abbey Relaxing Chair or choose from over 150 other styles of chairs. 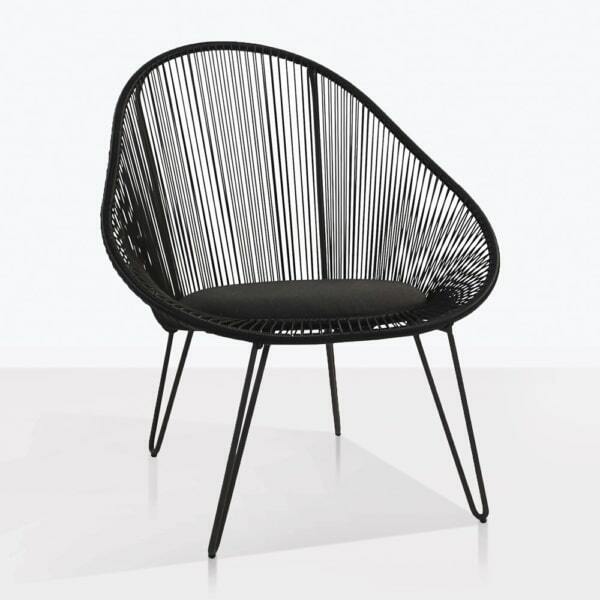 W31.5" x D30" x H34.5"
Our Abbey relaxing chair is not only extremely comfortable but it will also add instant on trend style your outdoor space. 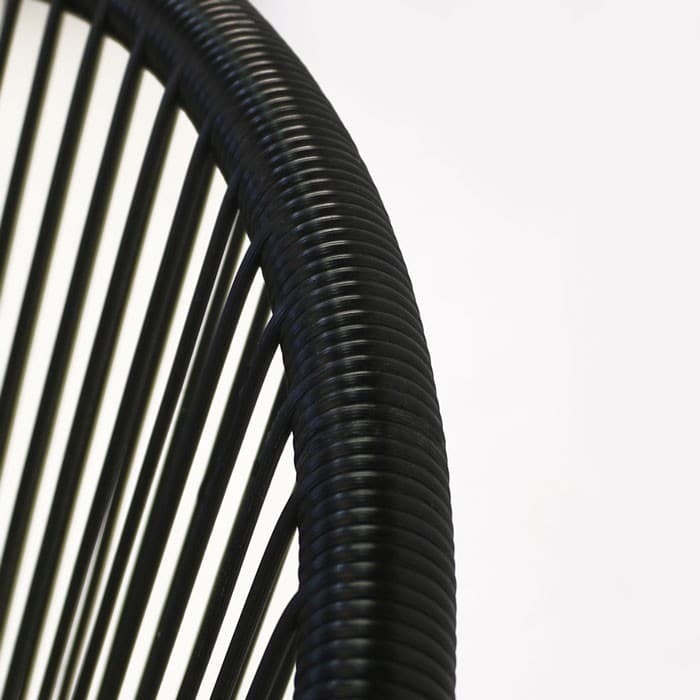 The frame has interesting curves and feels inviting, light and simple. It is made with powder-coated steel to ensure strength and durability. 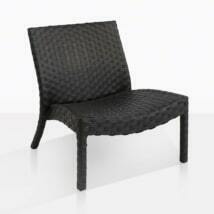 The upholstered seat uses a Sunbrella® cushion to add the perfect amount of comfort without being bulky. 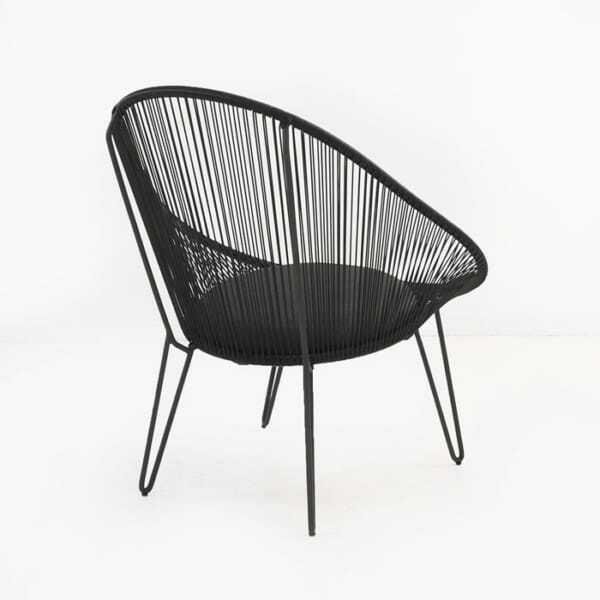 Black synthetic outdoor wicker is woven around the frame and feels smooth to the touch. 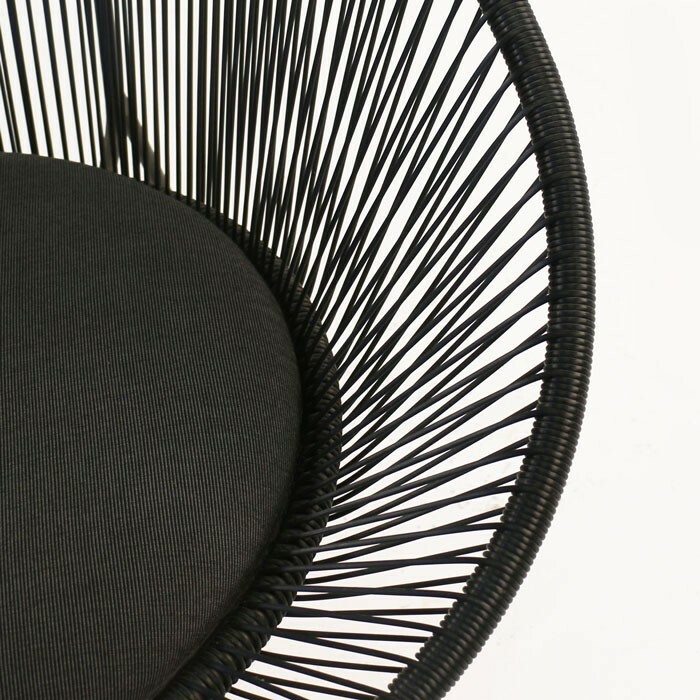 All of the unique qualities of the Abbey relaxing chair make for an outstanding chair that will complement many outdoor spaces. 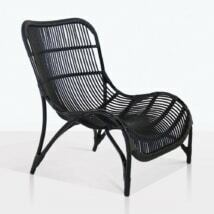 Teak Warehouse is open daily and has a huge range of outdoor relaxing chairs from teak to wicker to Batyline®. If you have any questions about the Abbey chair or any of our relaxing chairs, don’t hesitate to call or email us today.